← Unnamed Jo Callis Project Gets Greenlighted! I lived in Central Florida. It was a really conservative radio market. 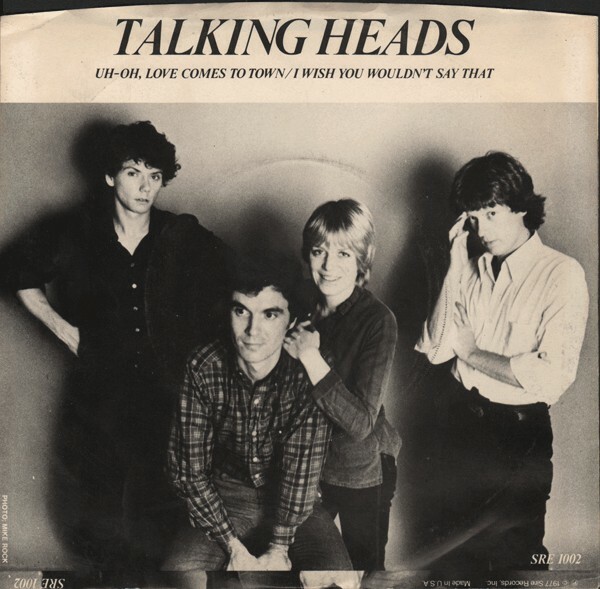 I didn’t hear Talking Heads until their cover version of “Take Me To The River” managed to reach #26 on the Billboard top 40 chart. I was no longer listening to top 40 radio by then, I had switched to a short-lived dalliance with FM Rock, but the track even managed to sneak into rotation on WDIZ-FM, amongst the Led Zeppelin. 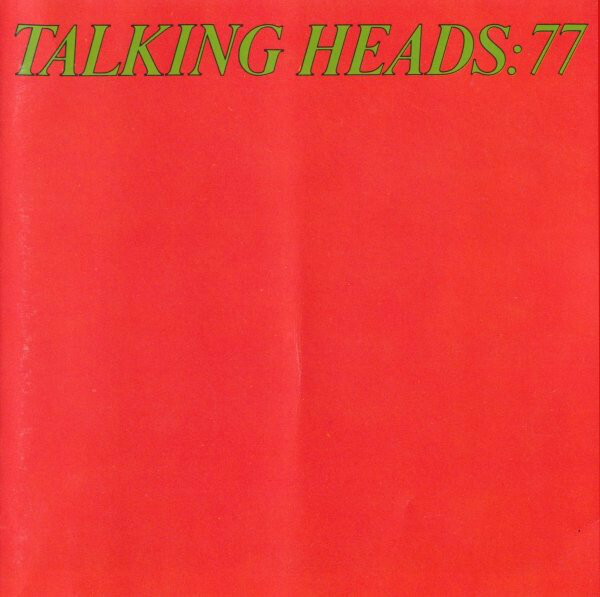 I can’t remember exactly, but I might have bought the LP of “Talking Heads:77” before or after their sophomore effort. I can state with some certainty, that I probably listened to chasinvictoria’s copy first. That sounds right. The album got off to a jaunty start with the single “Uh-Oh, Love Comes To Town.” The quirky P.O.V. of writer David Byrne was apparent right out of the box, even though they hedged their bets by starting this sometimes prickly album with an upbeat love song. In fact, there would be several tucked into the fabric of this album before it was over, but always askew from conventionality. The addition of steel drums even managed to hint at the Caribbean Tom Tom Club vibe which rhythm section Tina Weymouth and Chris Frantz would explore half a lifetime [it seemed] later. Keyboard player Jerry Harrison’s rhythmic Farfisa stabs keep this one syncopated and moving as singer Byrne explored numerous unique metaphors for the distracting signifiers of love. “New Feeling” was a more telling indicator of where this album was laying down new aesthetic asphalt for others to colonize planet New Wave. David Byrne’s guitar jangled like nerves as he seemed to be examining rather abstract aspects of his everyday life. The accompanying music was steadfast and driving, but taut and lean. This music stood apart from rock music and its usual concerns, tropes, and methodologies. Byrne’s vocal style was something else entirely. He sang with an almost child-like expressiveness that was completely unconcerned with how it sounded. He used peculiar stresses to impart emphatic power to select phrases that otherwise reeked of banality, but in this new context, served as grist for new contemplation. The abstract, analytical quality of the previous cut was only a warm up for the inscrutable “Tentative Decisions.” This one actually seemed like a computer trying to understand those wacky primates! It certainly lent credence to Tina Weymouth’s [and even David Byrne’s] belief that Byrne tended to autism or at least Asperger’s Syndrome. The machinelike music in the very abstract intro gave way to military drumming in the chorus and finally a rollicking piano-led boogie by the time of the concluding coda. May I add that this was highly atypical music for its time. Given that the band began their life as a rethink of their college band “The Artistics” [get it?] in 1975, I would have expected that “Happy Day” might have been one of the older songs in Byrne’s sheath of tunes as they recorded their debut album. The lyrics are a pure Byrne exploration of love from an outsider perspective; they fit right in on the album, but the music is the song here with more throwback factor. It’s practically staid for this adventurous band. The briefest song in the program is also one of the most infectious. “Who Is It” was a simple, repetitive, minimalist love song that came the closest to conventional sentiment that Byrne would ever go here. It was little more than a jangling rhythm guitar riff with abrupt stopping points where it would rest for a beat before it would continue hopping forward. It was a glimpse of Talking Heads at their most charming. The way they could approach a love song yet hold back from garish sentimentality with their artistic P.O.V. which prevented the band from ever coming close to skidding off the artistic road. This was nothing else but a band who trusted their artistic instincts; and their instincts served them spectacularly well in turn. This entry was posted in Core Collection, Record Review, Scots Rock and tagged 1977, 1986, Talking Heads. Bookmark the permalink. 77 is one of the albums which changed the way I heard music. It is full of rhythms and sounds which I didn’t identify with Pop or Rock. It proved that “singing” was not only about hitting notes in a pattern or “melody”. Some of the groundwork for the sound of 77 was laid by CBGB’s compatriots, Television. They also managed to make very simple sounding music out of very complex arrangements of sound. Uh-Oh, Love Comes To Town opens with one of the best song Outro’s of all time turned on it’s head and used to announce the album’s arrival. The Caribbean, almost Soca, rhythm and sway of the song counters the increasing unease/anxiety of dealing with love by Byrne. The star of the song, for me, is Tina Weymouth’s massive bass. David Byrne is no more “David Byrne” than he is on New Feeling. His vocals are as warped and out of sync as the counterpoints of the music. The song always reminded me of the unwinding of a clock spring. Tentative Days is chunky and hints as African/World Music as it opens. Again the play of Weymouth and Byrne is standout on Tentative Days. Her strength must have been somewhat intimidating to Byrne since she was once asked to re-audition for the band in those early days. Happy Days is one of my ATF (all-time favorite, yes there are MANY) Talking Heads songs. It also, not coincidently has the most “Television DNA” in it. It’s a sweet, almost ecstatic, love song that has beautiful builds up to each chorus and a coda that is quite untouchable. “This boy is in motion” used to be emblazoned on the back of a denim jacket I wore in High School. Who Is It is both mechanical and Motorik. In fact it has quite a lot of German Rock influence – something that would only blossom with time.